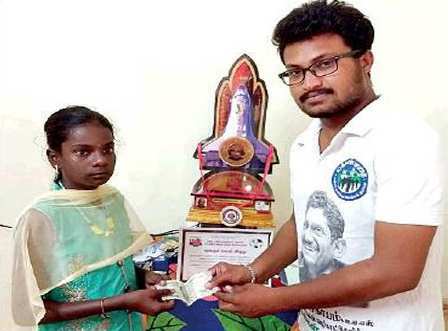 TAMIL NADU: A 12-year-old girl from Karur district has decided to contribute a portion of the fund crowd-sourced for her heart operation towards flood relief. Akshaya from a poor family in Kumarapalayam near Thanthondrimalai, is suffering from a congenital heart disease and her friends have been trying to mobilise the required Rs 2.5 Lakh by way of crowd funding through social media platforms. Her mother Jothimani said Akshaya broke down while watching television showing people who lost their homes and many going without food due to floods. Jothimani said Rs 2.5 Lakh to be collected before November for the operation but she could garner only Rs 20,000 so far, However she decided to donate Rs 5000 from it. Akshaya underwent her first surgery at Apollo hospital Chennai where she could source the entire expenses of the operation, Rs 3.5 Lakh, through crowd funding, she is awaiting her second and final operation this November after which she will be able to lead a normal life. Akshaya is being raised by a single parent after losing her father in an accident about six years ago.